Changes in the population of microbial organisms in the gastrointestinal tract may underlie some of the benefits of gastric bypass surgery, researchers from Harvard Medical School, Harvard University and Massachusetts General Hospital have reported. In the March 27 issue of Science Translational Medicine, the investigators described experiments in mice, finding that previously observed post-bypass alterations in the microbial population (also called the microbiota) are caused by the surgery itself, not by weight loss. Transferring samples of the changed microbiota to mice raised in sterile conditions induced weight loss in those animals without surgery. “Previous research has shown that the gut microbiota of obese individuals—both mice and humans—are different from those of lean individuals and that transferring samples of obesity-associated microbiota into germ-free mice causes increased weight and body fat,” said Lee Kaplan, HMS associate professor of medicine and director of the Obesity, Metabolism and Nutrition Institute at Mass General. Kaplan is a co-corresponding author of the current paper. “Our study suggests that the specific effects of gastric bypass on the microbiota contribute to its ability to cause weight loss and that finding ways to manipulate microbial populations to mimic those effects could become a valuable new tool to address obesity,” Kaplan said. Researchers have known for several years that gastric bypass causes changes that go far beyond limiting the amount of food that can be consumed. Individuals trying to lose weight through dieting alone usually experience increased hunger, less satisfaction after eating, greater desire for high-fat and high carbohydrate food and metabolic changes that conserve weight. In contrast, patients who have had gastric bypass surgery report feeling less hungry and more satisfied after eating, are more interested in eating low-calorie foods and expend greater amounts of energy after eating. They also show changes in the levels of hormones associated with appetite and hunger. 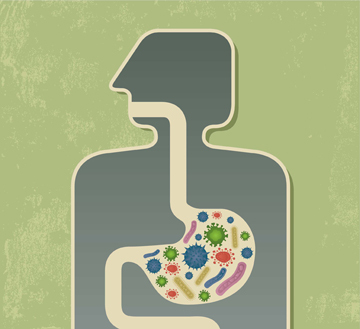 While previous studies showed that the gastrointestinal microbiota of human patients and animals changed after gastric bypass—becoming more like the microbiota in lean individuals—it was not clear if those changes were caused by the surgery itself or by the subsequent weight loss. The current study was designed to give a clearer picture of exactly how the microbiota change after bypass surgery, whether those changes are caused by the surgery itself and how they might contribute to the benefits of the procedure. To do this, the investigators studied three groups of mice, all of which were obese from consuming a high-fat, high-carbohydrate diet at the outset of the study. One group was treated with a version of Roux-en-Y gastric bypass, the most common gastric-bypass procedure. The other two groups received sham operations in which a portion of the gastrointestinal tract was separated and then reconnected. One of the sham groups continued to receive the high-fat, high-carbohydrate diet, while the other group was fed a reduced-calorie diet designed to induce weight loss. A week after the procedure, the bypass mice showed significant changes in their gastrointestinal microbial population, with an increase in bacterial groups usually seen in lean individuals and a drop in those commonly associated with obesity. By three weeks after the surgery, the bypass mice had lost around 30 percent of their body weight. Minimal change was seen in the gut microbiota of animals receiving the sham procedure, even though those on a restricted diet lost the same amount of weight as those that had the bypass procedure. Precise measurements of several metabolic factors revealed that the bypass mice were expending more energy than the sham-treated mice without any change in activity levels. To determine more precisely the effects of bypass-associated microbial changes, the investigators transferred samples of the gastrointestinal contents from each of the three groups into lean mice with germ-free gastrointestinal systems. Two weeks later, the animals receiving samples from bypass mice had lost a significant amount of weight, while those receiving samples from the sham-treated mice—including those that had lost weight through dietary restriction—had no change in weight. Exactly how changes in gastrointestinal microbiota induce weight loss is a key question that needs to be investigated in future studies. But observed differences in the proportions of a particular group of nutrients—short-chain fatty acids—in the gastrointestinal contents of the animals, suggested that the different ways specific groups of microbes process certain foods could lead to significant changes in overall metabolism, particularly since short-chain fatty acids are known to have a role in metabolic regulation. Peter Turnbaugh of the Harvard University Center for Systems Biology is co-corresponding author of the Science Translational Medicine report and Alice Liou, HMS Research Fellow in Medicine at the Obesity, Metabolism and Nutrition Institute at Mass General, is the lead author. The study was supported by National Institutes of Health grants DK088661, P50 GM068763, F32 DK095561, and P30DK034854 and by Ethicon Surgical Care.